Since planting the vineyards in 2002, Luigi Merendelli has come to learn all the secrets of Pinot Noir. After years of dedication, the use of traditional methods to turn this black grape into a single varietal sparkling white wine has become a great success. It is nothing but Pinot Noir, in its natural simplicity, made sparkling: NUDO is as pure as when it was created by the sunshine and the earth, with the help of some human love and respect. 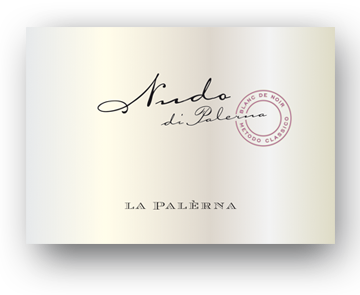 NUDO is a sparkling wine to fall in love with, together with its exceptional effervescence and refined taste, perfect for anyone looking for a light and bubbly drink that is also elegant and classy. Ideal as an aperitif, NUDO complements a meal from start to finish with its lightness and sparkle, and is perfect for celebrating your special moments. Bubbles: Many small, persistent bubbles. Bouquet:refined and elegant. Fruity, with notes of currants and sour raspberries, breadcrust, and minerals. Taste: Sapid and fresh, with an aftertaste of red fruits, full bodied and delicious with a long finish. Pairings: as an aperitif, with oysters and raw seafood as well as cooked fish dishes, recommended with white truffle.